Nobody embodies China's emergence as an economic power better than Zhang Ruimin. 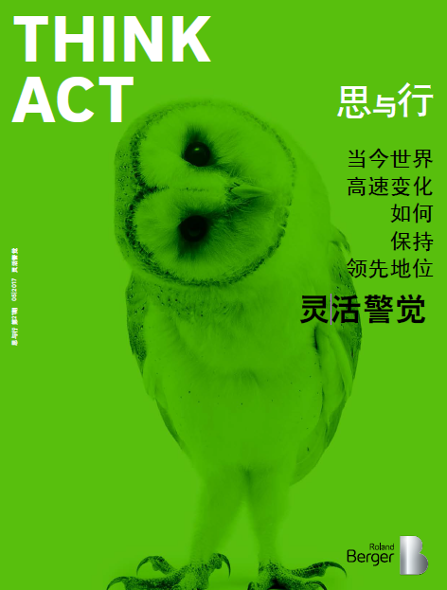 The CEO of the Haier empire with its 60,000 employees and revolutionary approach to reinvention talks exclusively to THINK ACT about China's future, Europe's weaknesses and smashed-up refrigerators. THINK ACT: Not many CEOs start their career as an ordinary worker, as you did. Where was that, and what exactly did you learn then? Zhang Ruimin: When the Cultural Revolution broke out in China in 1966, I was still in the fifth grade. I was lucky – I was not sent to the countryside like many of my classmates, but I did have to work in a factory, on a lathe. I wanted to continue my education, but back then the bookshops had nothing but the works of Marx, Engels, Lenin and Mao. Later on I studied engineering at a vocational college. Plates and spoons - vary from one country to another. 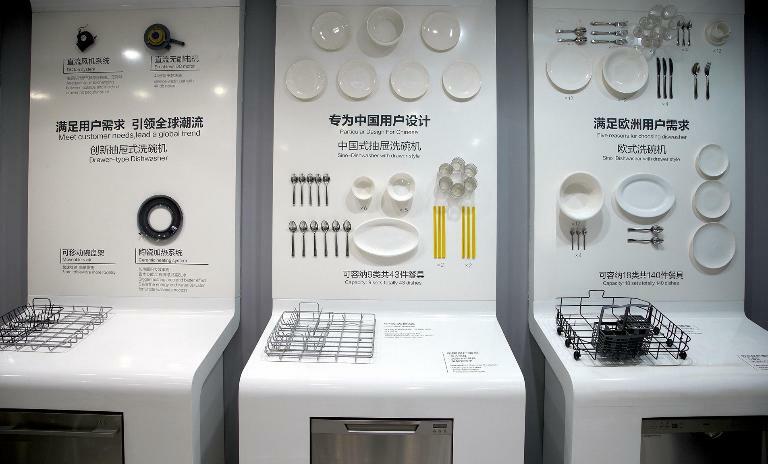 Haier´s range of dishwashers adapts to this. The one in the middle has specially developed for the Chinese market. Did this experience help you turn Haier into one of the first Chinese brands to become well known internationally? I worked my way up from an ordinary worker to a group leader, and then from a departmental head to a plant director. I am a manager who was once managed himself. This is important. I have not forgotten that workers often regard many decisions made by management as absurd. Today I try to put myself in their shoes with every decision I make. "I have not forgotten that workers often regard many decisions made by management as absurd." In 1985, a year after you became director of the company now called Haier, you handed out sledgehammers. In a symbolic exercise you had 76 refrigerators smashed up because they were faulty. In those days we were not allowed to dismiss workers. But it was important to motivate them. My trips to Germany played a big role in that respect. I visited Liebherr and was immediately impressed. In Germany everything was standardized. I said, jokingly: "It's raining right now. Is there a standard for that, too?" The German replied, not for rain itself, only when the rainwater hits the ground. Even the manhole covers in Germany are inscribed with industrial standards. Your workers must have been shocked by the sledgehammer exercise, nonetheless! Back then a refrigerator cost the equivalent of two years' wages for a worker. We stuck on every refrigerator a piece of paper that showed the quality problem together with the name of the person responsible. Those people then had to smash up "their" refrigerator. Some workers wept, but it proved a useful exercise. Did you wield a sledgehammer, too? Yes, of course, I had to be the first to wield the sledgehammer. What was your biggest problem in those days? The factory was lossmaking. We no longer had the funds to pay our workforce. We could not obtain any loans. The farmers in China were starting to make big money by this stage, so I went out into the countryside to borrow some. The director of a cooperative wanted to drink brandy with me. He said, "I'll lend you ¥10,000 for every glass you empty with me." I quickly worked out that a month's wages was ¥40, so for 800 workers I needed over ¥30,000. I kept drinking, and then the farmer's wife went over to the kang bed-stove and fetched the banknotes from a drawer. Zhang Ruimin is CEO of the Haier Group. A son of an ordinary worker, he took over a run-down refrigerator plant in 1984 and turned it into a global group, which now sells washing machines, TVs, computers and "smart air ecosystems" in over 100 countries. He has long been regarded as one of China's most influential business leaders and has been ranked No. 38 in the Thinkers50. As a member of the Communist Party's Central Committee, he also enjoys good contacts in politics. He is 67 years old. Haier is one of China's most successful companies and, with a market share of 10.2%, one of the world's leading household appliance brands. With 2015 earnings of over $1 billion, it is also highly profitable. For more than a decade, Haier has followed a strategy of building up its brand not only in China, but also in overseas markets, which is still rare among Chinese companies. Abolishing middle management and demanding entrepreneurship and innovation from every employee: the philosophy that "customers are always right while we need to constantly improve ourselves" has made Harvard and other renowned business schools sit up and take notice: Haier – and its success – is taught as a case study. Haier took a revolutionary approach to the threat of disruption – it disrupted itself first. Turning itself into an internet-based platform company is just its latest move to stay ahead of changing times and its competition. Part of a long line of innova - tions, the company's "zero distance to customer" principle led to the "Haier U+ APP" that allows cus - tomers to personalize their appliances while still being built at certain factories. What other management decisions did you make back then? One of my first rules was a ban on urinating and defecating at work. It may be hard to imagine today, but in those times the path to the outside toilet turned into mud when it rained. Why did you look to Germany in particular for inspiration? I was the head of a team that flew to Germany. I think there are two countries where quality is highly regarded. Germany has Mercedes and BMW. The Japanese also have this team spirit. I believe respect for quality is a spiritual matter. You do a lot of traveling. How do Chinese and western entrepreneurs differ in their thinking and their approach to solving problems? There are great cultural differences. Foreign companies concentrate much more on individual processes. They regulate everything. Chinese companies may not be so good at this. In China we often view problems from a higher perspective. Let's take the difference between western and Chinese medicine. A doctor in the West prescribes an X-ray or measures someone's blood pressure. Everything is quantified. A Chinese doctor in the same situation may only feel someone's pulse. Stomach cramps may not come from the stomach – they could be caused by a problem somewhere else in the body. 125 overseas consumers become Haier customers every minute. And what is the best approach? In China many people take the attitude that "approximately" (chabuduo) is good enough. That is a problem. It also has its good side, though. The Chinese do not merely look at a detail, they look at the whole picture. In the internet age, such holistic thinking is not such a bad thing, especially for entrepreneurs. Because the internet levels the playing field. Let's take sales as an example. Walmart is the world's biggest supermarket chain. Yet an e-commerce company without a single shop of its own can grow even faster. Nowadays a company can no longer be seen as a self-contained unit. It always forms part of a bigger system. Do you believe, therefore, that the Chinese way of thinking has benefits in the age of the internet and globalization? Often, yes. Thousands of years ago, the philosopher Laotse said that people did not even need to know of the existence of an outstanding leader. The leader simply had to give them everything they wanted, and then they were to make the best of it themselves. This is how we should really all think in the internet age. Thinking in terms of the bigger picture is a strong part of Chinese culture. You are renowned for surprising decisions. How important is change for a company? I think that change is the lifeblood of any company. When other Chinese companies want to develop foreign markets, they go first to Southeast Asia or Africa. Haier, however, started in Europe and in the US. Others may be happy simply to sell their products. We are not. Selling is not our overriding goal. We want the most demanding customers abroad to accept our products. There is a Chinese saying: if you want to learn to play chess, then look for a master. And what happened when you shipped your first refrigerators to Germany? That was in the early 1990s. They were completely rejected by German consumers. We needed a whole year just to gain the certification. But that was a good thing – over that year we got better. Many of your ideas are now being studied by MBA students abroad. In the internet age everyone learns from everyone else. The new keyword is "platform." A store chain may be the biggest in the world but an e-commerce operator without a single shop of its own has a platform. And what does that mean for a company like ours? We are experimenting at the moment with giving our employees more responsibility. You have announced that you intend to transform Haier into an "information-driven company." The most important change is a new openness. In the past we were able to rely on our own employees, for example on the 1,100 people working in our research and development department. Things are different now. We have hundreds of thousands or even millions of people at our disposal worldwide. They do not all work for us but we are linked up with them. 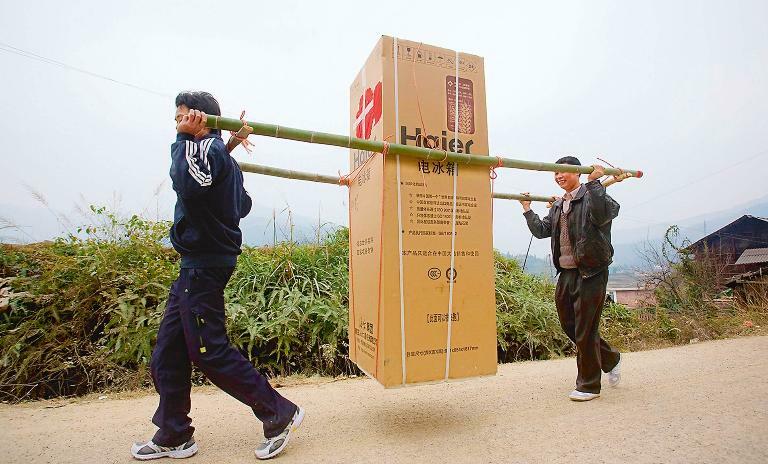 A global innovator: Chinese farmers carry a Haier refrigerator on their way back to their village in Anhui. You have also ordered the abolition of middle management at Haier. The old corporate structure resembled a pyramid. The workers had a lot less information at their disposal than the managers. In the internet era, however, it has become possible for the workers to know more than their managers. I once read why Toyota was supposedly better than Ford: Toyota has five tiers of management, whereas Ford has 14. And Haier has now abolished all of them. Here is an example from our sales organization. We used to have a national sales director, and then one for every province, every city, and every administrative district. That has all gone now – the company's management is now in direct contact with the districts. Decisions on staffing and salaries are taken at district level. If they exceed their targets, they are allowed to keep the profits. Have you introduced this new structure only in sales? No, everywhere. We have told our salespeople that they need not only to sell more products, but also to attract more customers. They must have information about their customers and must understand what these customers want. They then have to pass this knowledge on to Production. Production used to mean producing for the warehouse. Now we are seeking to supply specific products directly from the workbench to specific customers. But as yet only 20% of our goods are bypassing the warehouse and going directly to the customer. 3,800,000 Facebook followers: Haier champions a "zero distance to the customer" approach to digitization. So a similar strategy to real-time automobile production? Haier is successful globally. But why are there so few other Chinese brands that are well known internationally? A lot of famous brands are manufactured in China, but the design does not come from China. This is Original Equipment Manufacturing (OEM): the companies concerned manufacture the components or products but do not put them on the market. For many Chinese companies that is enough, because there are good profits to be made. China is now embarking on an innovation-driven strategy, however, so we may well see more Chinese brands in the future. You plan to transform Haier from a manufacturer into a service provider. It is our aim not only to sell more products like refrigerators or televisions, but also to find solutions to a problem. We now aim to sell "smart home" systems, where all appliances are interconnected via the internet. Air-conditioning units in the office can be controlled from home. New products will not be particularly valuable if they are not networked. The costs of labor and other resources are rising rapidly in China. Many manufacturers are already shifting their production to other countries. The pressure from rising wages is certainly great. We have plants in 24 countries, but the labor costs are now higher than in China only in three countries: in Japan, Italy and the US. Wages in Thailand are already cheaper than in China, but we do not plan to simply switch production to low-wage countries. The solution in our view is to create more value for our customers. 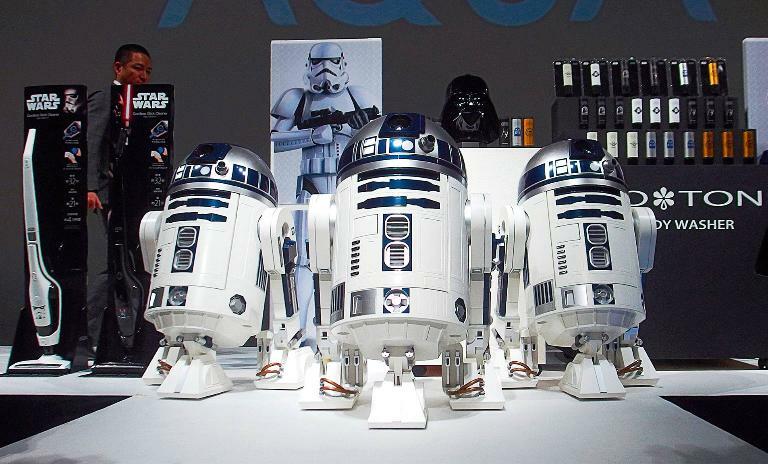 Haier premieres its R2-D2 refrigerator on October 29, 2015 in Tokyo, Japan. 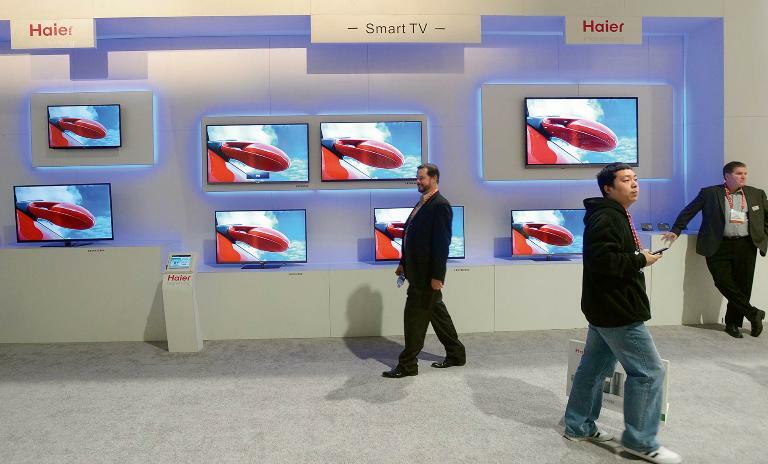 The Haier booth at CES 2013 at the Las Vegas Convention Center. At present China's economic growth is based predominantly on investment in plants and equipment. But this cannot continue forever on that scale. What comes next? You are right that we are now in this second phase. Investment in rail and road transport is necessary, but its share of the overall economy is relatively high, at up to 40%. As you rightly comment, this cannot continue forever on that scale. This is precisely why we need innovations. The question is simply which. At Haier we believe that the internet offers us good opportunities. Do you believe that global warming poses a risk to humankind and what do you think should be done to counteract it? It is clear that temperatures are on the rise. Regardless of whether emissions are responsible for this, it is an issue we need to face up to. Our dependence on fossil fuels is part of the problem. How will China's rise affect life in Europe or in the US? Should the people there feel afraid? The Chinese have never felt threatened by growth in other countries. So why should they be afraid of us? Globalization is bringing us all closer together. What shortcomings have you noticed on your trips to other countries? Do you have any constructive criticism for us? When we travel to other countries, we do so to learn from their experience. But I must say that the welfare state in Scandinavia could pose a problem. With such egalitarianism, where are people to find motivation? I saw something similar in Germany. If someone does not work yet receives almost as much money as someone who is in work, why work at all? Could it be that Europeans have a greater fear of change than the Chinese? We believe that companies in Europe are less aware of the transformation that the internet entails. The internet is making customers much more fickle. European brands seem to think they do not need to communicate directly with their customers because of their high brand acceptance. That is where our opportunity lies.